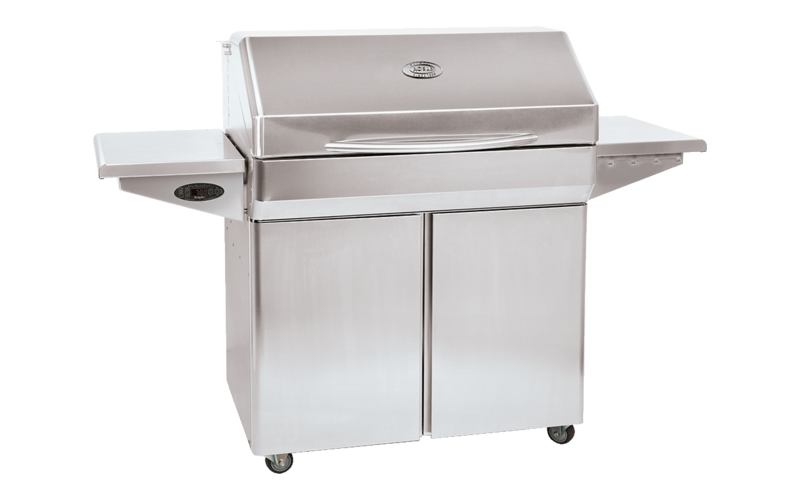 The flavour of a wood barbecue, the speed of a gas grill, the adjustability of electric grills and the aroma from smokers and smoking cabinets: All the advantages of these barbecues are now combined in one single piece of equipment. The Rösle Memphis Elite Grills with their wooden pellet fires master any method of cooking. And they do this with their ITC intelligent temperature control which controls the cooking process to a T by constantly controlling the core temperature. Yet despite all this ingenious technology, culinary pleasure is not being neglected. It is not only the numerous options of how to prepare food that provide such pleasure, it’s the wonderfully intensive flavour of real hardwood. This high quality pellet grill is a high-temperature grill, a barbecue smoker and convection oven all in one. Whatever you do, an exceptional barbecue experience is guaranteed.